Inspired by research and writings by prolific food-industry researchers like professor Robert Lustig, M.D., and journalist Michael Moss, Eve Schaub decided to try an experiment. She, along with her husband and daughters Greta and Ilsa, spent all of 2011 eating no added sugar. They combed packaged foods for other names for sugar, including high fructose corn syrup, crystalline fructose, maple syrup, honey, molasses, evaporated cane juice, as well as artificial sweeteners. They started preparing more foods at home. Each family member was allowed one regular exception that contained a small amount of sugar -- Eve opted for a glass of red wine -- and once a month, the family would have an agreed-upon dessert. We recently caught up with Eve to chat about the experience, as well as the upcoming memoir of that sugar-free year, Year of No Sugar, available April 8. 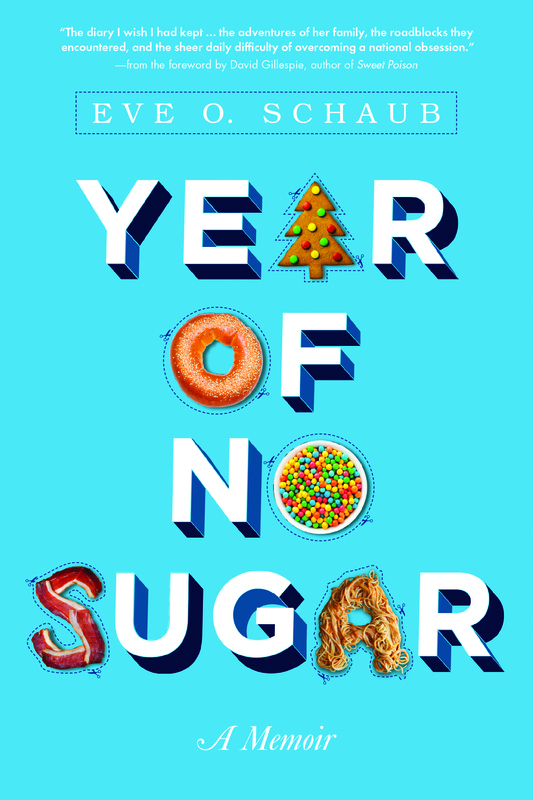 How did you come up with the idea to avoid sugar for a year? My husband showed me a video of a pediatric endocrinologist talking about sugar and what it does in our body. It's much more pervasive in our food supply than we might suspect. I became completely captivated by this video. For several days after I couldn't stop thinking about it. Everywhere I went I saw sugar, and I started to question not only our food culture in America but me personally: What am I feeding my family? I approached my husband and said I wanted us to try to eat for a year without any added sugar because I wanted to see how hard it would be, I wanted to know whether it's possible to do it and not be miserable. He was very supportive, to my surprise. The kids -- that was a whole other ballgame. Immediately, they started bawling. They knew this meant birthdays and Halloween and play dates and Christmas would all be different. As a mother, the last thing you want to do is make your kids cry! I assumed and hoped there would be lots of positive things that would come from it, but I knew this wasn't going to be an easy road. How did the kids take to it? That first day was probably the worst day we had. After that, things were never as bad as all that, although I can't say it was always easy. My younger daughter was 6 for most of the year, my other was 11. My younger daughter was amazingly flexible. At the beginning of the project she kept forgetting, and I'd remind her there was no dessert -- again -- and she'd go, "Oh, okay!" and run off and play. My older daughter was much more, "Oh, woe is me!" She's the actress of the family. I encouraged her to keep a journal because I knew there would be plenty of times she'd be mad at me and not want to talk to me about it. In the journal, she could get those emotions out. There are excerpts from her journal in the book. I asked her permission first. [Eventually], she loved the project. She said and wrote that it made us unique or special or interesting. I loved watching that transformation into this very aware kid. What kind of physical changes did you notice after eliminating added sugar? I always feel like I'm disappointing people when I say I didn't lose weight. None of us was looking or needing to. 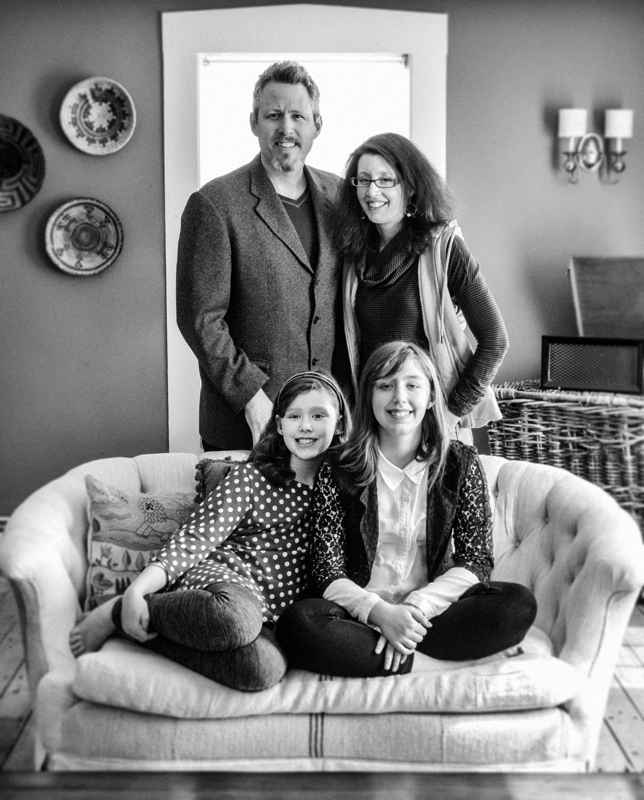 I have two young girls, so I was really mindful to stress how we felt, how things tasted. The last thing I wanted to do was focus on losing weight. We did notice other changes. Our palates changed over time. Things that were sweet began to taste different to us and really repellent by the fall. Things that normally looked very appealing looked obscene and disgusting. We felt healthier, it seemed like we got sick less, like we got better faster or got milder colds. My kids missed significantly less school. When the year was over, what stuck with you? Friends and acquaintances said, "You're liberated, and now you're going to go nuts!" That didn't happen at all. When midnight came on New Year's Eve 2012, we all had a little something. I chose to have a Reese's Peanut Butter Cup, and it was my first piece of candy in a year. I was like, "Yep, that's good, going to bed!" As time went on, I found it difficult because the rules were gone. Instead, it was like, what do we do now?! The first time I took the girls to the supermarket, I hadn't thought through what's going to be okay now. Now that a lot of time has passed, we've settled it all out. We're somewhere hovering in the middle, but we definitely have retained much more sensitive palates and a more subtle appreciation for sweetness. I went from somebody who would love a big decadent piece of cake to somebody who would much rather have a very subtle fruit sorbet. When we do choose to have dessert, it's small and it's very special. It's infrequent. You shot a video [below] of some of the difficulties of grocery shopping during the year. What were some of the most surprising foods you discovered you couldn't eat during the year of no sugar? I made my own mayonnaise, because at our supermarket I can't find mayonnaise that doesn't have sugar in it. I had to search far and wide to find bacon that didn't have sugar in it. I will buy mayo and bacon now, but I still don't buy bread. I bake my own bread as often as I possibly can, and when all else fails I will buy the one type I can buy [without added sugar]. I'm very stubborn on this issue. Same with tomato sauce -- you can find it at the store but you have to look. Would you recommend that other people try living a year without added sugar? I'd like people to read the book because I've kind of done it for them! They don't have to be as strict as we were. But I do recommend that people start to have a greater awareness of where sugar is -- and then they can make their own choices. Everybody gets to make their own dietary decisions, but what I think is not right is that this substance, which is not innocuous, is so pervasive in our food supply and we don't know it's there. There are many different aliases for sugar -- it's hard to be an informed consumer and know all of them. You don't have to go to the health food store or spend your whole paycheck, either. People worry it's too expensive, but not necessarily. I really wanted the book to be engaging and fun to read. I'm not a doctor, I'm not a nutritionist. I'm a mom who decided to go on an adventure. This interview has been edited and condensed. As told to Sarah Klein.